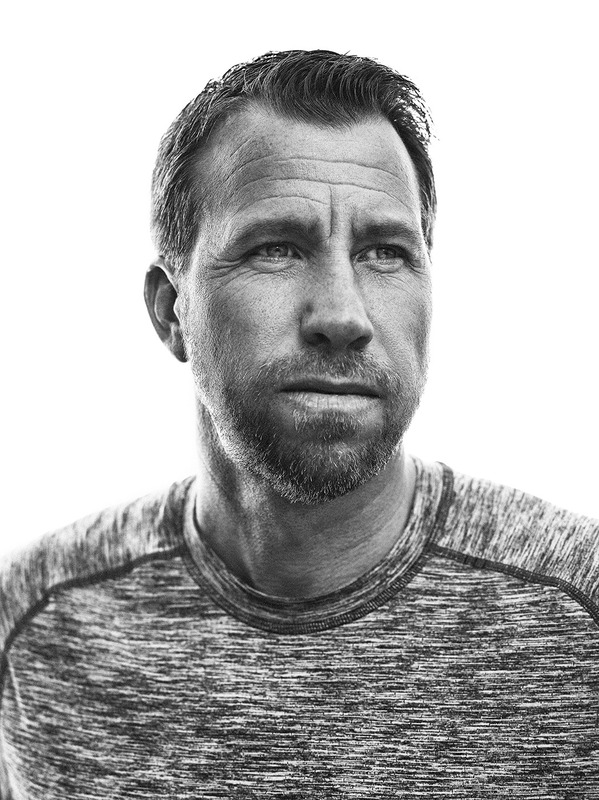 This Lululemon Ambassador shoot was extremely cool because I had just gotten the chance to hang out with Chris at a Lululemon Men’s event only a few weeks beforehand. I typically don’t know the ambassadors too well until I meet them for the day of the shoot, but over the course of 2 days we were able to get to know each other better and share an experience that, in my opinion, was truly transcendent. 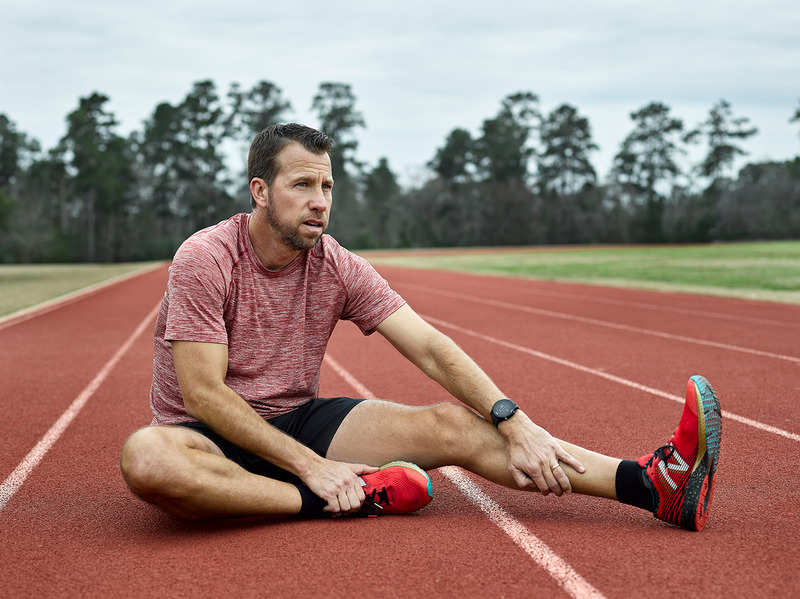 So, when I found out Chris was going to be the new Run Ambassador for the Lululemon Woodlands shop, I was pumped and knew we were going to be able to get some cool stuff that was different than the typical “Woodlands Running” shot. Mainly because he does a lot of track workouts and we were going to be shooting on the track itself. That, though, would present its own difficulties. First, we found out that school starts a heck of a lot earlier than any of us had anticipated so our initial attempt at the shoot was blundered by timing, but the light was pretty sketchy anyway so it all worked out for the best. We rescheduled for an afternoon shoot a few days from then and went back to working on the different shot concepts. First, I knew I wanted a shot of Chris running on the track. We were going to have to work around practices though, so we snuck a little piece of the track and had Chris actually run the opposite direction than he was supposed to. It looked a little funny if you know anything about track, but the light and everything else came together really well. Most of what makes Chris special though is his coaching. 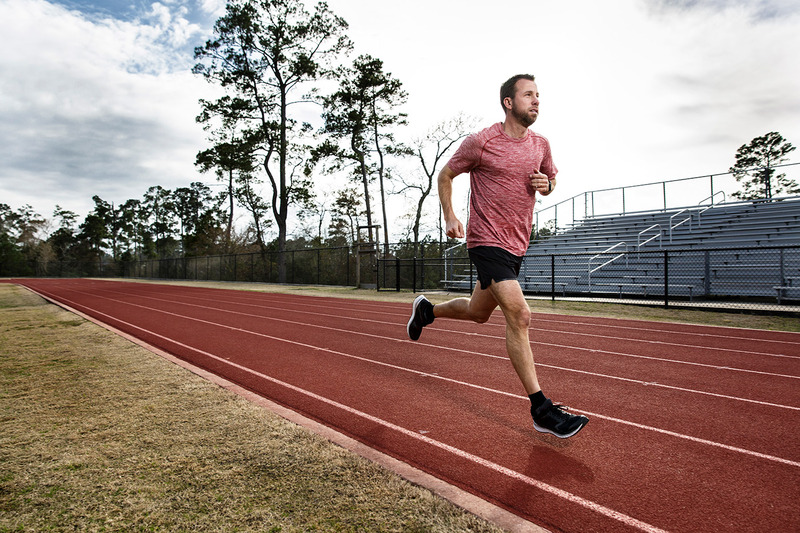 His willingness to work with others and the joy he gets from seeing them achieve goals is what makes him a perfect ambassador for running in The Woodlands, and why Lululemon asked him to join the crew. We used some of Lulu-crew for runners in the background and snapped some shots of Chris in his element doing his coaching. Finally, I wanted some shots of Chris doing some other “coaching” style exercises that go beyond the typical running session: stretching, calisthenics, breathing between sets, etc. The goal being to give Lululemon a variety of images they could select from when trying to find the one that would go up in the store. Ultimately, they needed one image but my job as the photographer is to give them a few hero shots and a lot of other options that we can use as well depending on where we really capture the essence of who the ambassador is. I had some fun shooting a couple of shots with the Phase One in the gorgeous natural light we had filtering through the clouds that evening, and we finished with an absolutely stunning shot of Chris for the Heroes on White project. I love this shot because his facial features define his smile and the lines around his his capture his personality: joyous. It was an awesome evening on the track and I can’t wait to continue to get to know Chris through his ambassador experience!